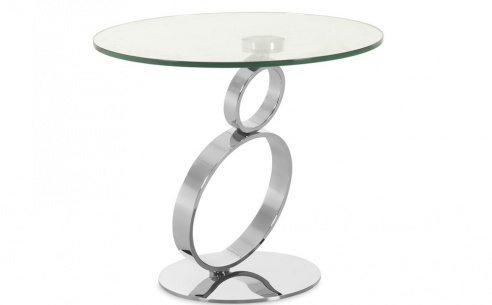 This rotating designer glass top coffee table is part of the Denelli Italia collection of furniture that is designed to grace any home with contemporary and unique features. 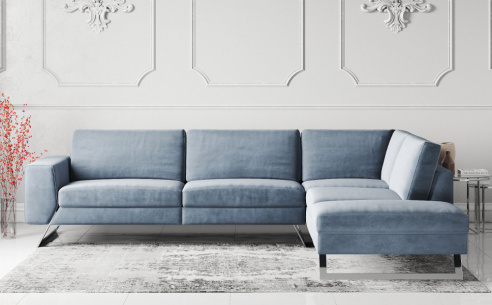 The separate tops of the squares table are designed to save space as the smaller one will move to fit below the larger one using a turning mechanism built into the chrome base. 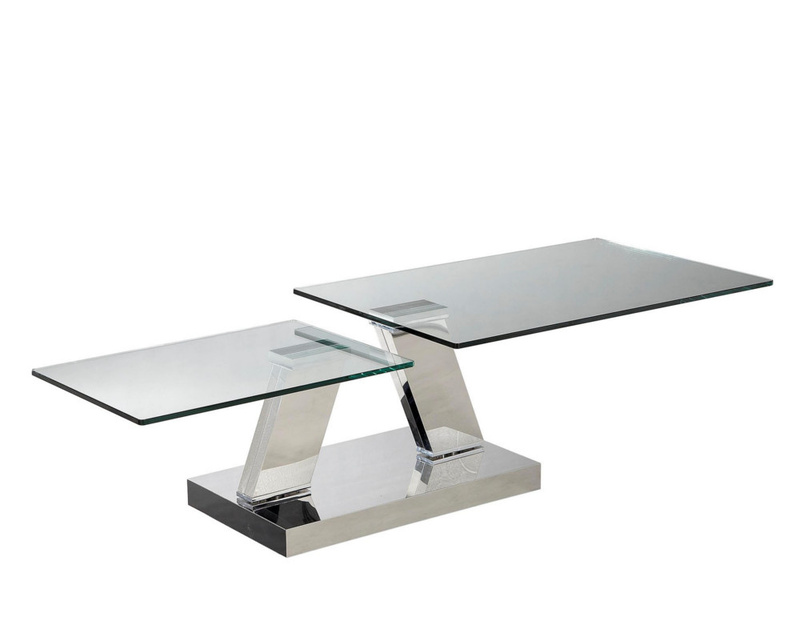 The glass is toughened and the base is in a chrome finish with black glass inserts.